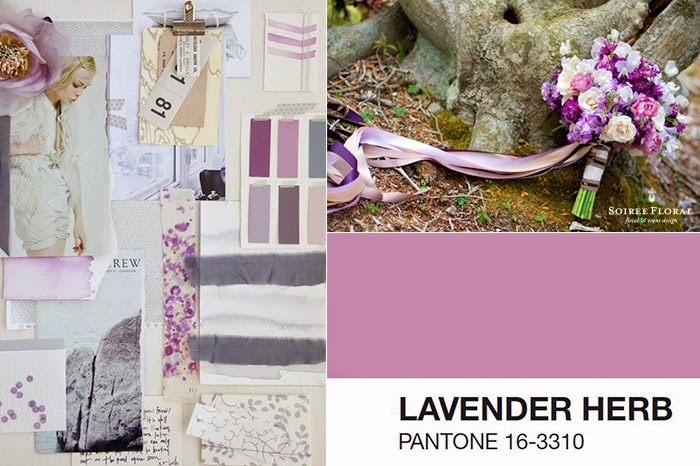 Lavender Herb pairs well with so many colors - shades of green, grey, taupe, gold and silver just to name a few. It's a perfect shade for almost all skin tones and can be used in the Spring or the Fall when mixed with the right colors and accessories. Here, we've split up our style board to show you how to incorporate Lavender Herb in your everyday or wedding style. Head on over to Pinterest and start dreaming up how you'll infuse this color into your life! We'll be featuring a few of our other favorite Spring colors from Pantone's 2015 Spring Palette later this month!